Chicken, Chicken By-Product Meal, Ground Whole Grain Corn, Corn Gluten Meal, Corn Grits, Turkey, Brewers Rice, Dried Beet Pulp, Natural Flavor, Fructooligosaccharides, Dried Egg Product, Caramel Color, Sodium Bisulfate, Potassium Chloride, Brewers Dried Yeast, Fish Oil (preserved with mixed Tocopherols), DL-Methionine, Choline Chloride, Calcium Carbonate, Chicken Fat (preserved with mixed Tocopherols), Vitamins (Vitamin E Supplement, Niacin, Ascorbic Acid, Vitamin A Acetate, Calcium Pantothenate, Biotin, Thiamine Mononitrate (source of Vitamin B1), Pyridoxine Hydrochloride (source of Vitamin B6), Vitamin B12 Supplement, Riboflavin Supplement (source of vitamin B2), Inositol, Vitamin D3 Supplement, Folic Acid), Minerals (Zinc Oxide, Manganese Sulfate, Copper Sulfate, Potassium Iodide), Taurine, L-Carnitine, Rosemary Extract. We found a kitten maybe 6-8 weeks old outside before winter. Took her home, vet checked shots and everything. When she was able to eat hard food she had digestive issues, constant diarrhea. We checked her stool with the vet and everything was fine so she just had some kind of allergy to our food. We tried 3 other brands with no luck. This was our final attempt, final because it works wonders for her digestive problems. 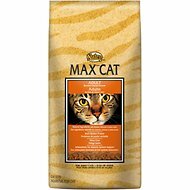 My other 2 cats love this food too. A+ and a keeper for my babies. 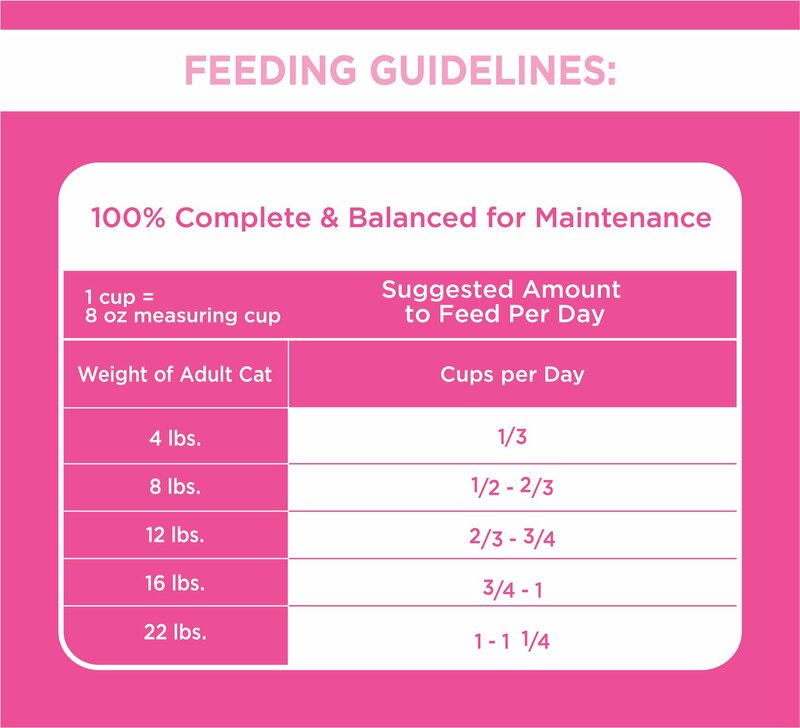 My 6 year old cat was having such a hard time keeping down any food - gluten free, dairy free, human food with no additives whatsoever! She would throw up everything and was losing weight rapidly. Since we made the switch to this, she has gained back all her weight and is living happy and healthy. So relieved for our baby! Couldn't recommend this more. 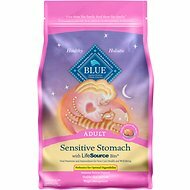 I prefer to get this one for my cats because a lot of them have sensitive stomachs. My only issue is I wish it came in a bigger size and 16 lbs. 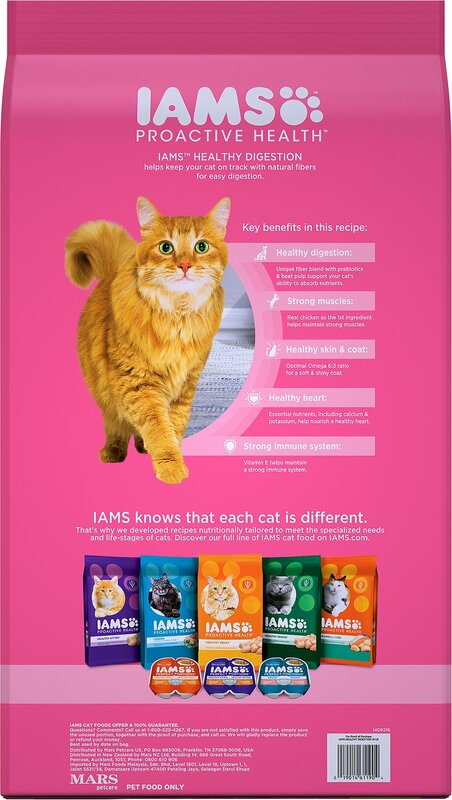 All the other iams cat food come in 22 pound bags but not this one. Skye was taken back twice to the shelter because of her IBS. She is thriving on this food. We are not having to worry about having problems anymore, and at first we thought we would have to return her as well. Thank you for helping us keep a Cat that our Children love! I thought I would give this a try based on the reviews. As soon as I took it out of the box one of my cats was licking the package and trying to open it. I would definitely say that’s a good sign. 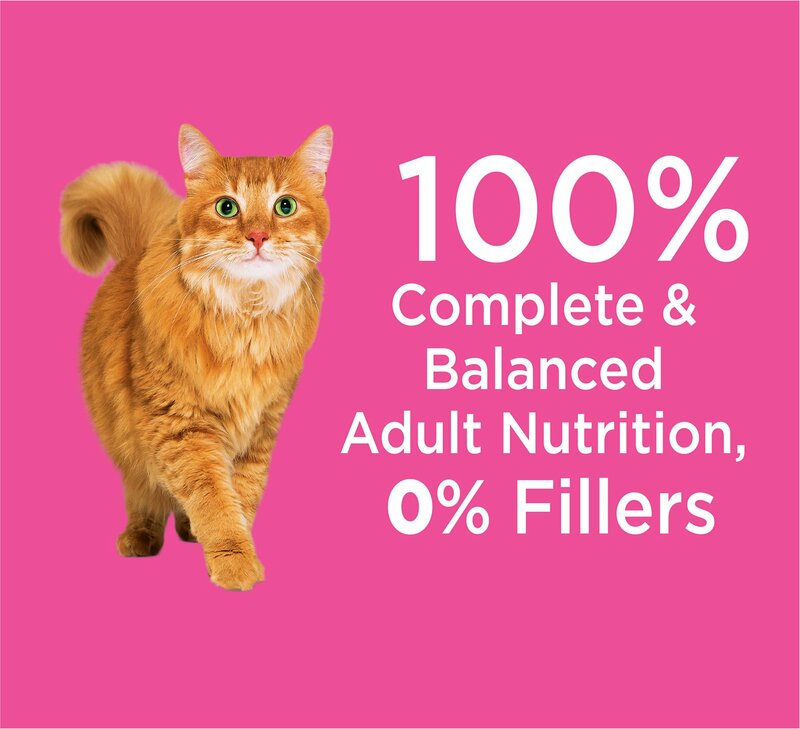 I mix 50/50 with Fancy Feast for my cats w sensitive stomachs who are extremely picky. 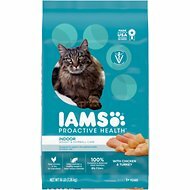 This combo keeps their food down and cats happy. My senior boy loves this food. We don't have the stomach problems with throwing up and etc. It's a great product! 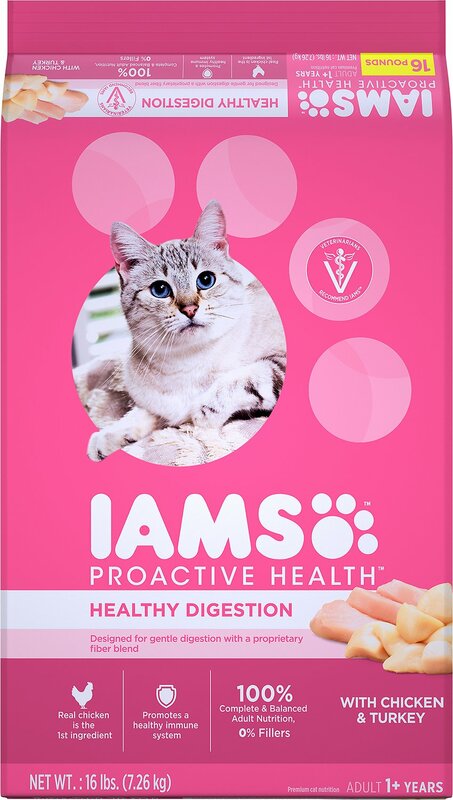 This food saved our house, our cats were having trouble with the blue and orange bags of IAMS food, just when we were going to look for an alternative this pink bag showed up. No more tummy trouble! 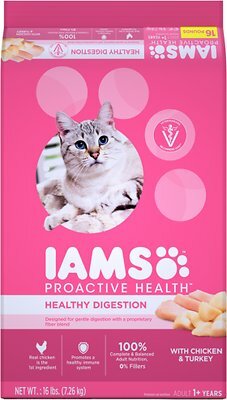 I have always used Iams and thought my 12 yr old should automatically be on the Senior form. But I was wrong, the Gentle Digestion works well....no more upset tummy for Gizmo! !